Car rental loyalty programs might not seem worth your time, but perks like shorter lines, reserved cars, and exclusive discounts make signing up for these programs a great value for people who routinely rent cars. No matter where you're traveling, if you need to rent a set of wheels to get around your destination, signing up for these rewards programs ahead of time could grant you access to some great member benefits. While it's hard to get a free rental out of the deal, you can earn points or perks depending on with which company you choose to sign. Make sure that you can qualify for these programs before you head to rent your first car. Some restrictions on age and residence apply to all rewards programs, and some programs require clean driving records or great credit to qualify. You must be 21 or older and have a valid U.S. driver's license to register for the Advantage Awards program, and you can only earn one reward for each rental you make through the company. You can earn free days, free upgrades, or even free weekends from renting online through Advantage Rent-a-Car. Memberships are based on the number of times you rent within a calendar year with Base membership for one to two cars, Silver for three to four cars, Gold for five to six cars, and Platinum for seven or more cars. Other perks include roadside assistance, travel discounts, and first-pick on exclusive offers from the website. Along with getting to walk up to members-only lines at any of Alamo's locations, signing up for a free membership to the Alamo Insiders reward program will get you access to partner rewards and special discounts. You'll also get exclusive offers and a 5 percent discount on all rentals when you join as well as partner rewards. For instance, every time you rent from Alamo as an Insider you'll get 50 miles per rental day towards partner airline loyalty programs and 250 Hilton HHonors points toward accommodations. The Avis Preferred membership program is a bit tricky to navigate as you have to join a separate Preferred Points system for benefits to accrue with every dollar you spend. Also, the price of rentals changes constantly, making redeeming your rewards a bit challenging. The Preferred Plus grants you even more benefits but you first must complete 12 rentals or spend at least $5,000 in a calendar year. You'll get complimentary upgrades, 25 to 50 percent more points, and exclusive monthly e-mail offers. 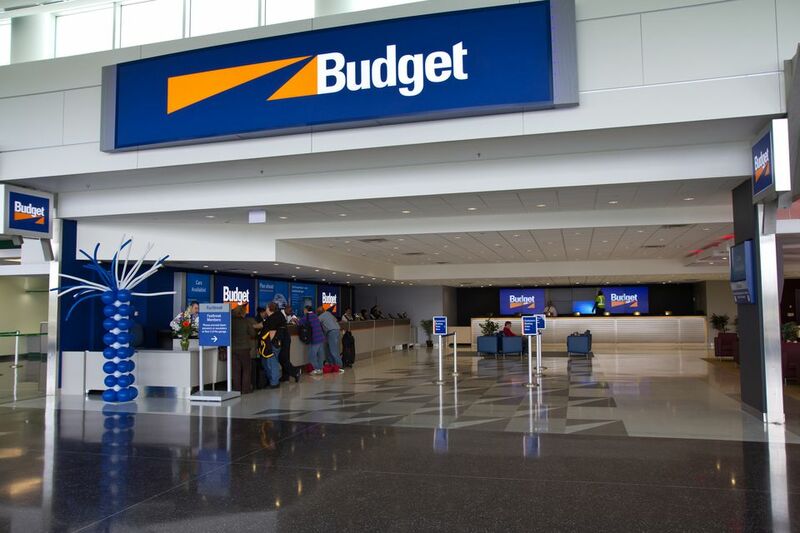 Budget's Fastbreak service provides renters with a faster reservation and rental experience as well as a one-click booking feature on their website. Additionally, FastBreak counters at the airport allow renters to simply show their license and grab their keys when they arrive and the "Rent More, Save More" program rewards $25 for every two rentals completed. Rules and restrictions vary by your state of residence, so be sure to check the Terms and Conditions before you go to register. Some states require insurance in addition to the standard driver's license and age requirements. At Dollar Rent-a-Car, the Dollar Express program allows members to choose between earning sky mile points with rewards partners including United, Southwest, and American Airlines or receiving free rental days in the Renter Rewards program. Either way, you'll get 50 percent off all upgrades, access to designated members-only lines, and accrue one credit per rental day. These credits will then transfer over to either rewards points or a free rental (with 16 credits). Enterprise Plus also operates on a rewards points system, where you can get a free rental day with as little as 400 points. For Plus, points accrue for every dollar you spend, and once you've rented more than six cars, you will begin to qualify for even more exclusive offers. The exclusive Silver, Gold, and Platinum programs reward 10 percent, 15 percent, and 20 percent bonus points, respectively, and also allow for a limited number of free car upgrades per year. All programs, though, grant members access to up to 15 percent off rentals, designated members-only lines, and partner program reward points for hotels and flights. Hertz is one of the most popular rental car companies in America, and its Gold Plus Rewards program offers a number of benefits to its members. You'll get faster reservations and pick-ups, special discounts on all models, and the opportunity to earn points toward free rentals. You can also add a second authorized driver free of charge and earn points toward air, hotel, and train partner programs with a free Gold Plus Rewards membership. You can pick out your own car and bypass the counter when you become a member of the National Emerald Club Loyalty Program. Additionally, members can choose between free rental days or airline miles as rewards for rentals. Points can also be used for upgrades, and members don't need to bother with showing anything more than a valid driver's license. The Blue Chip Express program at Thrifty Car Rentals gives members access to speedy service at members-only lines and 50 percent off rental upgrades at check-out. Additionally, renters can earn points for future car rentals or airline and hotel partner rewards. Like many other programs, Thrifty's Blue Chip Express rewards one point per dollar spent, and 500 points is about the average for a weekend day rental. Can You Add Another Driver to Your U.S. Rental Car Contract? Should I Pay for My Rental Car With a Credit or a Debit Card? What Should You Do if Your Rental Car Breaks Down? Should You Book Your Rental Car Through a Third-Party Website? Are Buy-Back Car Leases Better Than a Car Rental in Europe?